A “tic” is an involuntary movement or vocalization that's typically fast onset, brief, repetitive, conventional however non pulsing in character, often imitating normal behavior, usually occurring out of a background of normal activity. Tics are typically related to a prophetical sensation or “build up” sensation to perform the particular movement, and frequently are related to the feeling of relief once performed. Tics may be classified as motor or vocal. Motor tics are related to movements, whereas vocal tics are related to sound. Tics also can be classified as simple or complex. simple motor tics involve solely a number of muscles typically restricted to a selected body part. They can be clonic (abrupt in onset and rapid), tonic (isometric contraction of the concerned body part) or dystonic (sustained abnormal posture). examples of easy motor tics include: eye blinking, shoulder shrugging, facial grimacing, neck stretching, mouth movements, jaw clenching and spit. simple vocal tics accommodates sounds that don't form words, such as: throat clearing, grunting, coughing, and sniffing. Genetic history is seen in the patients. Stress, anxiety and other psychological conditions trigger the condition. As per Dr.Abhishek clinical studies, he has found relation between tics disorder and variour mental and psychological conditions like stress and anxiety. He focused more on the underlying root cause, which is generally missed bt allopathic doctors. Aura Homeopathy treatment for tics syndrome helps the brain and nervous system to decrease involuntary spasm of muscle, that too with out any type of side effects. The anti-spasmodic property of well selected Homeopathic medicine helps in soothing of affected area and increase blood supply to that area. There by reliving the discomfort. 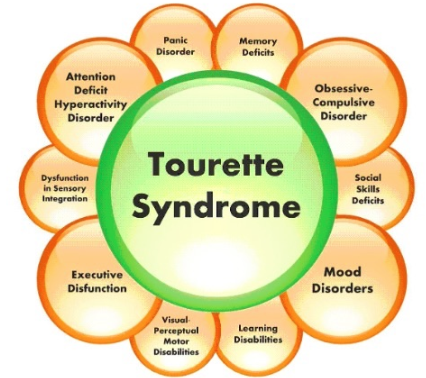 There are 279 Homeopathy medicine found useful in the cure of Tics or tic disorder/ Tourette-Syndrome, but as per Dr.Abhishek best homeopathic medicine can be selected only on the basis of complete case taking. Children with sniffling, clearing throat, and blinking of eyes, tics are more often wrong diagnosed with allergies or visual problems. Compulsions, habbit of an OCD, may be mistakenly assumed to be tics.